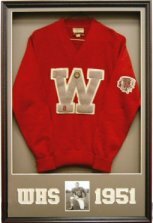 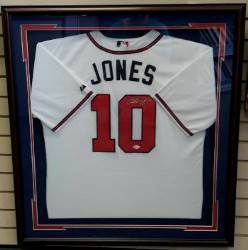 Jersey framing can be customized in a variety of ways including mat color and design. 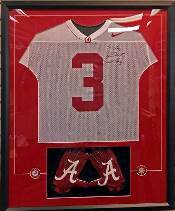 Pricing varies according to size and weather you purchase your jersey from us or are framing your own. 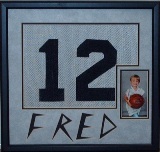 View details under any of the following examples for sizing and pricing. 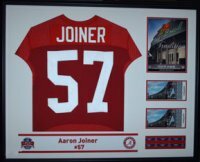 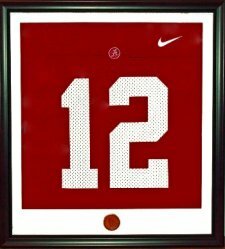 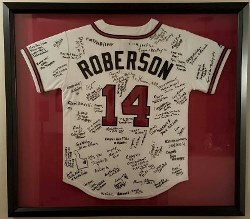 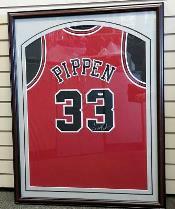 Call 1-800-425-5778 or come by our store for additional details for framing your personal jerseys, uniforms, or T-shirts. 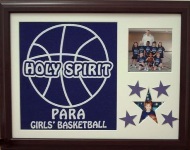 WE ALSO OFFER TEAM DISCOUNTS. 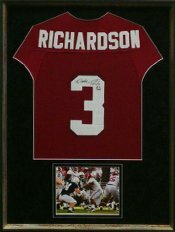 CALL FOR QUANTITY QUOTES.